CNC: Little Explorers: Crazy Crickets and Grasshoppers! Join us on JULY Wednesdays to learn about these crazy hopping bugs! So many brown and green bugs hopping all around us! They sing us their songs of summer, and are always a fun surprise when walking through the grass. 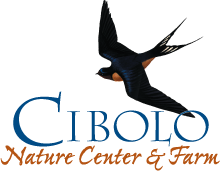 Together let's learn how they are different and go see if we can find them in the Cibolo Tall Grass Prairie!